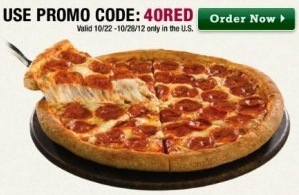 Papa John’s has a new 40% off code valid online when you order any large pizza at regular menu price. Use code 40RED at checkout! A large pepperoni pizza comes out to $7.95 after the code. You may want to plan a pizza night soon because this deal is only valid until 10/28.